The purpose of this adjustment was to recalibrate and adjust the New Earth Timeline, after the major shifts in February 2014 that brought the Earth into alignment for the New Earth frequencies. At this point, all Earth Time Lines are aligned with the new hyperdimensional Time/Space Reality that is manifesting the New Earth. Consider, for a moment, what this means. The Earth is a Sacred creation, and the Earth is part of you! The way in which you perceive the Earth and interact with the Earth is also the way in which you perceive yourself and interact with your own body. Do you see your body as a perfect creation of love, or do you see it as imperfect and needing to be fixed and changed because it is “not good enough”? When you speak of self love and empowerment, this also means love and empowerment for the Earth, or the Earth part of you. When you love and nurture the Earth, you are loving and nurturing a part of yourself. 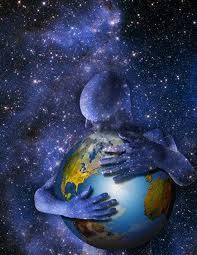 When you do Sacred Ceremonies to love and honor the Earth, you are loving and honoring yourself. When you accept the Earth as a beautiful and perfect creation of the Divine Creative Intelligence, this is how you see yourself. As you embody the Earth by honoring your physical body and your physical home, you allow for powerful currents of healing energy and Light Codes to flow through you to the Earth and her peoples. If you do this in Sacred Ceremony with meditative intent and activations, you amplify the flow of energy from the Cosmic Heart and your Heart to the Earth, creating a powerful Sacred Union of the Three Hearts that will allow for powerful shifts of consciousness. And you will understand fully that Earth is “home,” and that you came to Earth to assist with the manifestation and creation of a Garden Home for multi-dimensional beings. 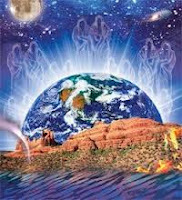 While many on Earth have forgotten their mission and their reason for being here, you as multi-dimensional Masters will remember and know that now is the time to honour the Sacred Earth as you honour yourself, and to assist in manifesting “home” or the Sacred Garden on Earth. Your Earth Soul Team consists of those Ascended and Awakened beings with whom you will work to fulfill your Soul Mission and manifest the New Earth. These new Soul Teams will be gathering in 2016 for the New Beginning that will be initiated at the Lion’s Gate in August and will come into manifestation in 2017. 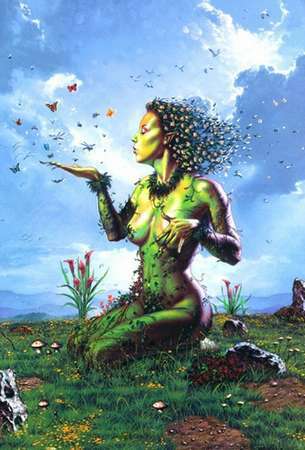 Earth beings come from many “races”, and just as you are Star Seeds, so you are also “Earth Seed” bearers. You carry in your bodies the records and memories of many beings and many races, some that have left the Earth only to return in you! These are the faeries and elves of Europe and Scandinavia, the Tuatha de Danaan of the Celtic lands, the first peoples and first nations and the tribal ancestors of the indigenous peoples. As you find these ancient records and memories, they may rise to the surface allowing you to make magical connections with your Earth ancestry that will help you to walk the Earth in a magical and empowered way! You may also be attracted to your “Earth Seed Family”, as you find each other in this new multi-dimensional reality. What a joy it will be to recognize each other and to create together! This recognition will not be divisive, but will facilitate a move into Oneness in the service of the Divine Will and Divine Plane for the Earth, as you embrace your Soul and Ancestral families across the boundaries of Nation and Race. When you step into your multi-dimensional Mastery, you become a Master of Time. The ancient and future skills of Time Travel and Time Journeys are held in the Fourth Dimension of Consciousness and anchored in the Heart. The first “skill” of a Divine Creator being is the ability to hold “time” in the present moment, and then to weave or shape realities through the imaginative and creative expression of the Soul in the Sixth Dimension. The first step in mastering hyper-dimensional time is to understand that in the old reality time was always perceived as moving in a linear fashion from point A to point B. In the new perception or reality, the Heart contains all time, past, present and future,. It from here that the skilled Creator knows how to activate a Time Spiral and to create a “story” that celebrates and honors life on Earth. A Master initiates a Time Spiral when she or he begins a new life project or a new direction in life. That spiral unfurls with grace and beauty in the hands of a skilled Time artist. It is your work to perfect your creations and manifestations so that they flower into beauty, harmony and love. Beloved Ones, the way to initiate a Time Spiral is to begin in the Heart with a dream or a desire. As you activate the seed of desire, it unfurls into a pathway. The skill lies in recognizing when the seed opens and the path begins. Then, as you flow into that pathway, the skill becomes to make the choices that will assist your Time Spiral in its process of manifestation and co-creation with others. Choosing the right moments and the right people from your Soul Clan or Team, to be the catalysts or co-creators, is essential. Beloveds, know that this means that what you desire to create is not down a path into the future. It is not just beyond your reach. It exists right now, and is simply waiting for you on a higher spiral of creative consciousness. So if you feel as if you are going around in circles, perhaps this is true, and all that is needed is a shift of consciousness to lift you to that next spiral. No amount of striving or struggling will bring manifestation in the New Reality. Only gently raising your consciousness through focused intention, meditation, activations and service, will bring you to this higher expression of self. 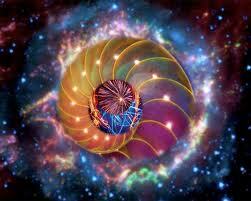 Abundance, Love, Peace and Harmony already exist on the next spiral of the Earth’s, and your, creative journey. Do not strive and struggle, but dream, create, desire and manifest, as you unfurl your spirals into higher levels of Divine Consciousness. 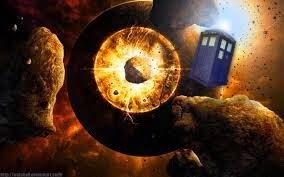 You are a Master Time Traveler, and a Master of Time Creation in training on Earth. 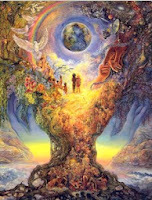 You will remember these skills as, together with your Soul Team and your Ancestral Clans, you master the Earth/Sky connection and create a Sacred Earth. Remember, that as Divine Light flows from the Cosmic Heart to your Heart and into the Earth through you, powerful magic is released as a Sacred Earth Current flows from the Earth Heart through your Heart to the Divine Heart, meeting with the descending current from the Divine Heart. These spiraling currents of Light and Energy are woven into Experience, Life and Conscious Evolution on Earth.